84 (Coventry Airport) Squadron Air Training Corps: Putting the Air back into Air Cadets....Virtually! Putting the Air back into Air Cadets....Virtually! On Wednesday 04 June, twelve cadets had the privilege of being the first group to try out the Flight Simulator at Atlantic Flight Training (AFT) following an invitation to create a partnership with the cadets to assist with flying training and apprenticeships. Travelling only a few minutes around the airport base, Flight Lieutenant Nathan Adams, Officer Commanding of 84 Squadron and Flying Officer Rosie Chapman took the selected cadets to try out the Diamond Air DA-42 Twin Star simulator and get some hands on experience with a professional training school. On arrival, Operations Manager, Alex Lee and Operations Controller, Cameron Brown took six cadets each into one of the dedicated training rooms where they introduced the equipment and how it operated before going through the basic flying controls of the aircraft using the rudder pedals and control column. As ever, there was a competitive element to the activity as each cadet was given approx 10mins in the pilot’s seat taking the aircraft through the take-off procedures, around the circuit and back in to land. Votes were then cast as to who had made the best landing from each group and the winners then had to fly a circuit with an independent adjudicator from AFT. The overall winner, earning a flying badge and key-ring courtesy of AFT was Cadet Ben Styles with close second going to Cadet James Greenacre. The visit was a huge success and the first of many to come as 84 Squadron have been offered regular visits to both the simulator and the chance to look around the aircraft as part of ongoing training for all levels of their academic studies within the ATC. 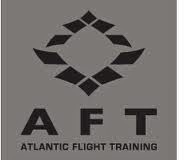 A huge thank you to Alex and Cameron as well as the AFT management for allowing this partnership to begin, we look forward to many more exciting times up in the virtual air! For more photos, check out our Squadron Facebook Page!